IOPSA (Institute of Plumbing South Africa) has compiled a short document explaining the fundamental differences between UG (underground) piping and SV (soil-vent system - above ground) piping, and why the two should be used absolutely correctly. Many plumbers don’t understand how different the two are, and installation requirements are often neglected. It is imperative that the pipes meet the SANS requirements before installation occurs. 1. The basic difference between the pipes and the fittings is the colour and thickness. UG piping is manufactured in a cream/beige colour and SV piping is white. The SV piping also may have a wider inner wall to that of a UG pipe. 2. As per the requirements of the relevant SANS standards, the pipe and its fittings are tested as a complete system and will be required to operate as such. So, although you can connect a beige UG pipe with the white SV fitting and the system may work, it doesn’t comply with the required standards. Thus, the installation will not be compliant. a. UG piping and fittings are manufactured for below-ground use only, as the fittings are calculated for the correct slope as required in an underground installation. 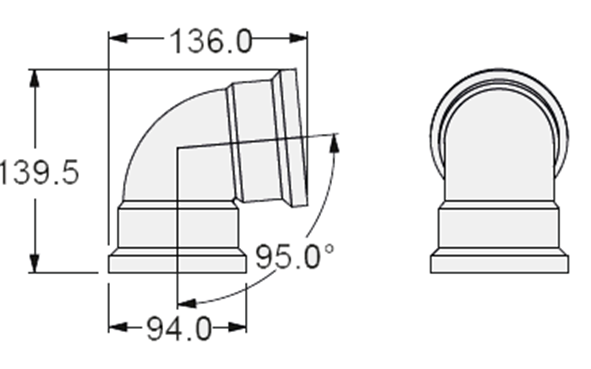 b. SV piping and fittings are manufactured for a system above ground, and the fittings are cast for horizontal and vertical installations to provide the correct gradient on the slope as required from SANS 10252-2. 1. As per SANS 10252-2 the correct piping is required to be used in above-ground installations. Only PVC piping that is SANS approved for above ground use is the white SV piping and fittings. 2. UG piping is not UV resistant and becomes very brittle in sunlight. Plumbers make the mistake of thinking it can be used in an above-ground duct or stack; this is incorrect as per point 1. The pipes and fittings are tested as a system and if you use the incorrect piping with the SV fittings, the installations will not be compliant to SANS installation standards. 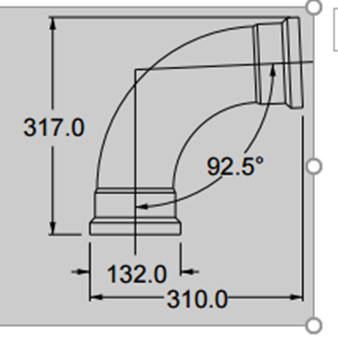 It is clear in SANS 10252-2 that the above-ground piping needs to be used for duct work. 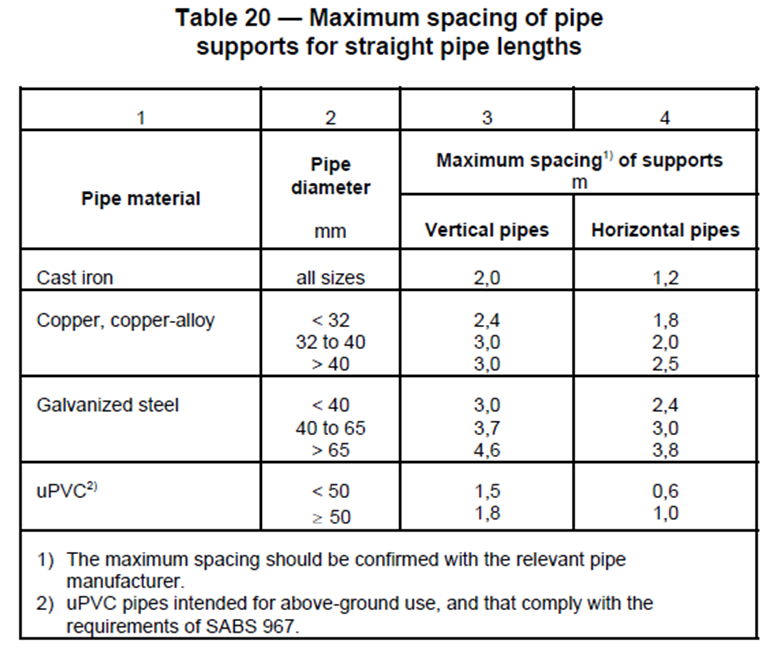 The below table has been taken from SANS 10252-2 further explaining the requirements for the installation in a duct, it makes clear reference in point 2 as to the pipe required in an installation. The Institute of Plumbing South Africa (IOPSA) has facilitated with industry-leaders and geyser manufacturers, the development of a guideline to alleviate confusion in the industry relating to fixed electrical water heating (geyser) cylinder failures. The confusion & frustration has been created due to a very high percentage of non-compliant installations verse actual product failure and whether poor installation has resulted in the product failure. To avoid such confusion, industry has collaboratively created a document that aims to support plumbing installers and manufacturers, clarifying critical areas that determine where incorrect installation can be used as technical reason to void a warranty claim. Geyser manufacturers are within their right to void a warranty claim based on an installation not been compliant, however also have the responsibility to support their product in the industry if failure is determined to be a manufacturing fault. This guideline will provide critical standards that, if followed correctly by the plumber, will help to prevent product failure from happening. On the other hand, this the document will provide information that supports technical reasons as to why a manufacturer may void a warranty due to a non-compliant installation. It is important to note that this guideline is an ongoing document, and will be updated as necessary as and when IOPSA and industry reconvene. It is also critical for installers to understand that compliance to all regulations & standards applicable to a fixed electrical water heating system are to be adhered to. The following table advises those areas that are critical to the fixed electrical water heating (geyser) cylinder failure. All points of reference are to be verified with the relevant manufacturer in terms of warranty conditions to alleviate confusion/ liability or uncertainty. NOTE: Some manufacturers do not allow for the installation of a reconditioned valve onto the cylinders so warranty will be void. Confirm with the Relevant manufacturer if this point is applicable to the Manufacturer. Isolating or non-return valve is installed between hot water cylinder and the pressure control valve (PCV), expansion relief (ERV) valve or vacuum breaker. Note: This may however effect copper tanks and tanks that have a PEX lining. 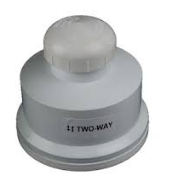 Vacuum breaker should be installed 300mm above the cylinder, if it is not possible it can be installed within 700mm of hot water supply directly on the line. 3. Limited or no access to hot water cylinder installation (maintenance and replacement purposes) – replacement product provided but installation labour for customers account. Manufacturer will only provide the cylinder. 4. Required isolating valves not installed – Cylinder will be provided and customer must install the cylinder using his own plumbing contractor. 8. All components installed in conjunction with the hot water cylinder must be approved components as per manufacturer specifications, if grey product components are used; the warranty will be void. 9. If the incorrect support structure is in place, the manufacturer will only provide a cylinder replacement. 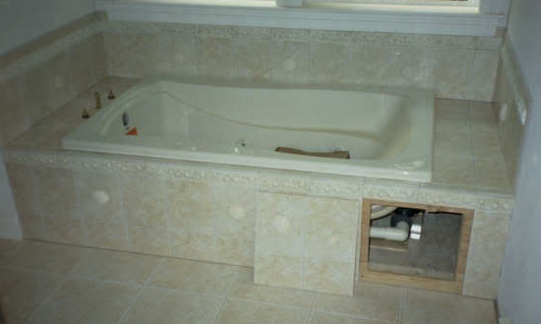 The installation cost will be for the consumers own account using his own plumbing contractor. The same goes for cylinders mounted on incorrect wall support. 1. This is a guideline to industry and users must always refer to current regulations and standards. 2. This guideline does not exclude the supply chain from liability of compliance in any manner. Installers must issue Notice of Non-compliance to property owners as required by regulation. 3. Solar geyser and heat pump installations have been excluded from this guideline at this point. 4. This guideline is subject to the manufacturers (water heater cylinder and valves) installation instructions. 1. Compliance of an electrical water heater system installation should be included in manufacturer warranty conditions going forward. Change behaviour of entire supply chain to ensure requirements of regulation are met, therefore ensuring the protection of the public and the environment. 2. Clear guideline to industry of how to bring an existing electrical water heater system installation to be compliant. a. Amendments of regulation / standards related to installation date. b. Water heater cylinder not been SANS 151 accredited (SABS approved) at time of installation. c. Solar Water heater system not being SANS 1307 accredited (SABS approved) at time of installation. d. Requirements of all solar system panel and cylinder configurations being SANS accredited (SABS approved). IOPSA (the Institute of Plumbing South Africa) has noticed an increase in confusion, due to the number of different plumbing Certificate of Compliance (CoC) issued within South Africa. The local municipalities are responsible for the enforcement of the national Building & Water Regulations. Individual local authorities have their own form of a CoC if their bylaws require one to be issued by a plumber. For the purpose of this article, IOPSA will focus on the City of Cape Town CoC and the Plumbing Industries Registration Board (PIRB) CoC to give an understanding of why there are different CoCs and what the differences are. · The water meter records the flow when water is drawn, and does not register when consumption stops. · The private isolating valve as per subsection 23(2) (a) or (b) is in place and functioning. · None of the terminal water fittings leak and they are correctly fixed in position. · No storm water is discharged into the sewerage system. · There is no cross connection between the potable supply and any alternate supply. The document has been amended since inception. A concern relating to the City of Cape Town CoC is that new property owners are under the impression that the entire plumbing system is compliant. As you can see by the points indicated; the plumber does not check all points of a Plumbing System relevant to the Regulations & Standards of plumbing. Complaints arise when service calls initiated for repairs and issues of non-compliance become apparent by the responding plumber. This reverts to Western Cape however in other regions; Gauteng, KwaZulu Natal, Southern Cape, a CoC is now being requested by the buyer. Due to the lack of registration and poor quality plumbing installation, IOPSA initiated the Plumbing Industry Registration Board not only to register all plumbers but to proactively check quality of installations by means of the issuing of PIRB CoC’s. The PIRB registered plumber is required to log CoC within five days of the installation, which, through the automated services, may result in an audit carried out on the installation. In the event of a failed audit, the plumber would be required to carry out rectification. It’s a controlled, measured system and process. Should the plumber not wish to rectify the issue, they will be removed from the PIRB register. It is important to understand the difference between a local CoC and PIRB CoC. The local certificate is still a requirement in specific local authorities. This is a local government requirement so it’s compulsory. The PIRB is a voluntary requirement, except for solar geysers, heat pump and soon, fixed electrical geysers. If you install a solar geyser or heat pump, you must issue a PIRB certificate in addition to the local government certificate. The consumer is looking for credibility and support, which they can get through the industry-driven solution that is the PIRB CoC. It has been implemented to assist the municipality. in the event of a Repair/ Replacement/ Solar Installation, plumber will issue solely on work carried out. The PIRB Certificate was not designed for usage on the sale of property; the issuing plumber may be held liable for any areas of non-compliance not noted. There have been instances where a registered plumber has certified, and not listed the areas of non-compliance, and was therefore held liable. The standards are very specific in terms of the responsibility of the plumber; they must advise the owner of any non-compliance in writing. With the inclusion of the checklist, this will alleviate uncertainty in terms of non-compliance and defective areas. It is to be noted that only a registered PIRB plumber may issue a PIRB Certificate of Compliance. We are finding that in all the new upmarket developments the bathroom design does not allow for the bath access panels, this is due to the aesthetics of the bathroom and the property owner not wanting to see an access panel that stands out. 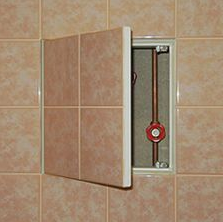 But as plumbers we need to assist our clients to understand that the access panel is required as per the SANS standard. We also need to look at the best possible solution to ensure the aesthetics of the bathroom can comply to the standards and keep the client happy with the end product. Below are some ideas of how you can create an access panel for the bathroom that complies to the standards and is still easy on the eye. The fraudsters would send a fictitious RFQ from what would seem to be a governmental email address, use a fake RFQ form with a logo and contact details of the contact person. These requests are usually urgent and the whole process is concluded within a short period of time. During the process the “SCM officials” will be in contact with the unsuspecting service provider until the goods are delivered either outside the building or at an agreed address. Fraudsters make use of department letterheads to send out fake tenders to businesses. They then request these businesses to supply them with equipment and goods. Sometimes, business owners are even asked to pay a deposit to secure their tender. At first glance, everything looks above board. But upon closer inspection, you soon realise that all isn’t as it seems. § While it’s difficult to determine whether the letter from the department is indeed authentic, there are other smaller details that could help you avoid a very costly mistake. § Compare the names and contact numbers as shown on the letter to that published on the relevant Department’s website. If they’re not the same, be careful. If they are the same give them a call to ensure they represent who they say they do. § Do a simple online search of the company name as shown on the letter. If there is a website, look up the address and call the company to confirm they do exist. § The banking details provided with the tender document belong to a private individual and are not in the company name. § Remember that Government will never ask you to pay any money to secure a tender. § Check the contact number provided on the tender letter. Government warns that although the numbers look valid, they are often not even connected to any property. Give the number a call to check. § Look for the purchase or order number. “Government will never send an email asking you to supply equipment and goods without a purchase or order number,” Government warns. While Government is working closely with authorities to thwart these fraudsters, it still remains the responsibility of the business owner to ensure the tender is legal. Should you fall victim to a tender scam, you cannot hold the relevant Department liable for your losses. If you do receive a tender request, and you are still unsure about its legitimacy, it’s always wise to give the mentioned Department a call (use the contact number as listed on the Department’s website) to verify. If you know of any fraudulent tender activities please be report to the Tender Fraud hotline 0800 701 701. Confidentiality is guaranteed. Nick Joubert comes from a long history of training and education. 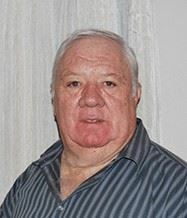 Nick started lecturing at the Technicon Witwatersrand in the building management department in 1974, he then went on to obtain his BCom Degree in General management from Unisa and completed his post graduate BCom (Hons) studies at the rand Afrikaans university in training management. He has filled many high profile roles within his career from Divisional director of Primeserve Training to CEO of Chamdor Group and MD for TJEKA Training to name a few. Nick started his career with IOPSA in 2013 where he was appointed as the National Training Advisor for IOPSA, a position which he still fills to this day. In 2014 IOPSA appointed Nick as an assessment quality manager (AQP within QCTO Framework) where he has been involved in many projects such as Skills for Green Jobs. In Nick’s spare time, he enjoys time with his family and playing with his grandchildren. IOPSA runs a wide range of CPD activities on a monthly basis for PIRB registered plumbers to earn their points. Plumbers understand that plumbing is the conveyance of water, which means the supply of clean water and removal of dirty water and sewerage. Quality plumbing products suitable for the building environment form part of industry’s responsibility to ensure public health and safety when working with water - a critical resource. It is imperative that there is a guideline as to what constitutes a good quality product suitable for use in a building. This not only governs the industry, but also creates an equitable environment for all manufacturers and suppliers to compete. Standards such as the National Building Regulations (NBR) and Water Services Regulations (WSR) are not only a guideline but a regulation; which makes them mandatory. In the current environment, they have little positive contribution to managing the building environment as a result of ineffective enforcement. An imbalance is created when one of these areas are lacking or absent, such as the certification of products, further impacted by poor policing when products are installed. The consequences, for example, of such challenges are the manufacturing or supplying of poor quality products not fit for the South African plumbing environment. This problem has a knock-on effect and may only become apparent sometime later, which makes the problem even more difficult to correct, especially when poor quality products have already been sold into an industry. Ultimately compliant manufactures and suppliers are forced to compete with poor quality products still carrying a huge cost of certifying their products. Cost sensitivity is a key factor in a competitive environment, however not at the expense or risk of the public or sustainability of an industry. The reality is, non-compliant products become more cost effective and inviting to the public. This also is perceived to be a competitive advantage to installers who benefit, short term, by gaining work; they do however lose clients in the long term due to product failure. It is therefore extremely important that the entire industry takes responsibility. The Institute of Plumbing South Africa (IOPSA) has been working closely with their manufacturing members through the manufacturers forum to facilitate solutions to overcome the imbalance that has been created due to lack of enforcement of products, as well as poor or non-existent product testing and certification. Traditionally, the South African Bureau of Standards (SABS) has provided an extensive array of testing and certification. Once the product met the SABS testing and certification requirements, it could carry the SABS mark for a 3-year period. The misconception in the industry is that the SABS mark of approval is mandatory. However, the requirement of the National Building Regulations (NBR) is simply that products should comply with SANS standards unless the SABS mark is specifically required by local bylaws. This means that manufacturers or suppliers of products do not have to carry the SABS mark, but should prove that their products meet the minimum performance requirements of the relevant SANS standards by means of product certification. The solutions offered for testing and certification are unable to support market demand for testing and certification, so industry has naturally begun the process of finding alternative solutions to measure their product performance, to remain competitive and meet the requirements of regulations. IOPSA is therefore facilitating through industry, the development of quality testing laboratories and certification bodies. This creates opportunity for interested competitive market forces without excluding any existing testing or certification solutions. IOPSA Manufacturer members have voluntarily tabled their requirements to potential testing houses and certification providers who test against the South African National Standards (SANS) document. Manufacturers will engage individually with the testing houses, with IOPSA purely facilitating these conversations. It is critical that industry and public are assured of quality products across the plumbing supply chain. This can be achieved by a plumbing industry oversight body, creating an industry guideline within the existing framework and enforcement mechanism ensuring minimum product performance standards are kept. The health and safety of a person should not be equated to cost. In other words, one cannot state that Health and Safety requirements cannot be met due to expense. The plumbing industry, for example, cannot place a person at risk such as not installing an electrical geyser safety valve which may cause a hot water cylinder to explode causing harm, damage or even death. As plumbing is a relatively technical subject, one cannot expect a consumer to understand the risks when making a choice unless they are highlighted. This may not seem important or too much of a risk. So, let’s highlight the reality that if you knowingly sell or install a product that may harm a person now or in the future, it is highly irresponsible and according to the Consumer Protection Act, Building Services Act, Water services Act, Occupational Health & Safety Act illegal and may lead to prosecution. Let industry take ownership of their future and an equitable environment for all. IS YOUR VENT VALVE INSTALLED CORRECTLY ? 2. Not less than 100mm above the closest part of the roof covering of the building through which it passes. 4. Not less than 2.5m above the surface level or any roof slab, where the slab may at any time be occupied by people. Steve Brown is already very well known within the plumbing industry due to his vast experience and travels. Steve is currently the National Operations manager for IOPSA as well as a director of the Plumbing Industry Registration Board (PIRB). Steve brings a wealth of knowledge and experience to the IOPSA team and with his guidance, assistance, determination and diligence he has played a vital part in what IOPSA is today. 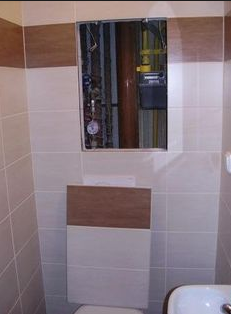 He started out within the industry in 1981 as a qualified plumber. He has owned his own plumbing businesses, worked as a training lecturer for Watersmith Training Centre for heat pump and solar training modules. Steve also sits on a multitude or boards as a committee member such as the World Plumbing Council Executive Board. In his spare time, Steve enjoys surfing some waves and spending time with his family.